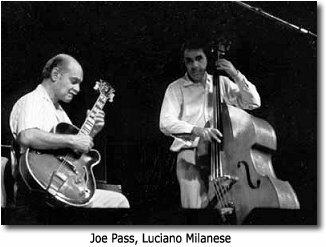 Luciano Milanese was musically brought up at the Louisiana Jazz Club in Genoa, his home town. 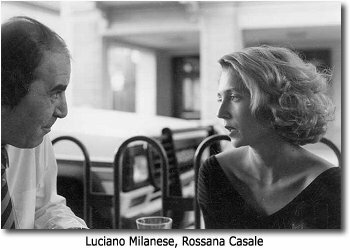 Afterwards, he was bass player for a long time at the Capolinea club in Milan, where he played with the greatest italian musician. 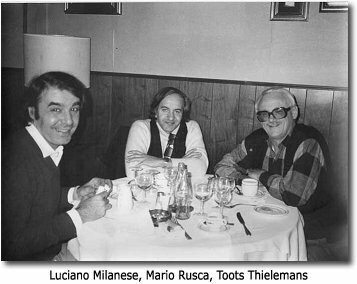 He was a member of Tullio De Piscopo quartet with Larry Nocella and Riccardo Zegna, of Dado Moroni trio and Gianni Basso quartet. 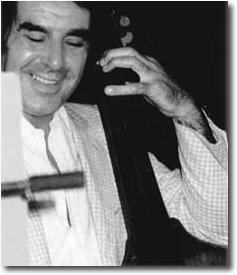 He took part in many festivals, radio and TV programmes and recordings. 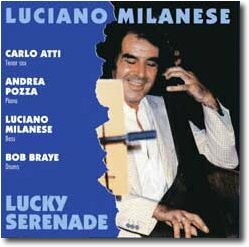 He recorded CD Lucky Serenade (Carlo Atti, Andrea Pozza, Bob Braye) with his original compositions. 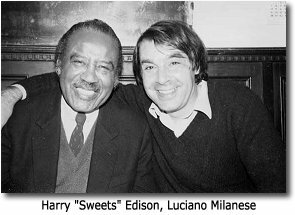 He also played in Italy with Harry "Sweets" Edison, Art Farmer, Chet Baker, Joe Newman, Eddie "Lockjaw" Davis, Johnny Griffin, Sal Nistico, George Coleman, Scott Hamilton, Steve Grossman, Lew Tabakin, Ernie Wilkins, Tony Scott, Al Cohn, Massimo Urbani, Bob Wilber, Kenny Davern, Al Grey, Curtis Fuller, Jimmy Knepper, Ray Bryant, Kenny Drew, Walter Bishop, Walter Davis Jr., Ralph Sutton, Toots Thielmans, Barney Kessel, Joe Pass, Sandro Gibellini, Alvin Queen, Louis Hayes, Louis Bellson and many others. Slide Hampton, Eddie Henderson, Carl Fontana, Larry Schneider, Elliot Zigmund, George Robert, Adrienne West, Andrea Pozza, Dado Moroni, Rossano Sportiello, Gianni Basso, Ed Polcer All Stars, Tullio De Piscopo Blues Brass Band, Gianni Coscia, Romano Mussolini, Louis Armstrong Tribute All Stars.